For anyone who dug my "Access-WHO-rize" shirt design that was on teefury a few months back, tomorrow for one day only it will be available as 16"x20" giclee print over at www.stealthisart.com. Prints goes on sale tomorrow, 2/17 Friday at 8am PST, ONE DAY ONLY, Price $40.00 and limited to 100 copies. 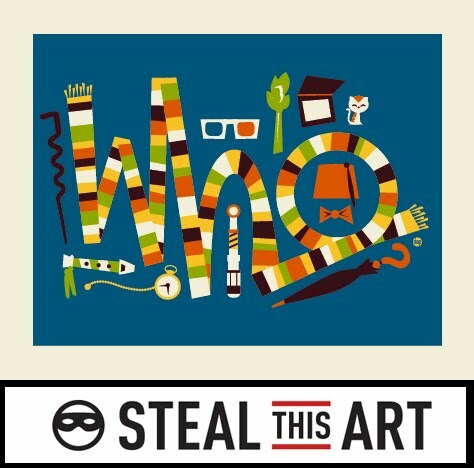 Steal this Art was created as way to bring artists and art-lovers on a budget, together. Every day a new print goes up for sale at a ridiculously low price. It’s so low, that you are basically stealing it. To eliminate the high cost of custom framing and to keep it budget friendly, each print is sized to fit in a standard sized frame. The prints are super limited and only for sale for 24 hours. Once they sell out, or time’s up, they will never be available to steal again. Cool. I can understand these not being signed, but why not hand-number them?